Is shopping for that special man in your life a bit tricky? Here are some of our favorite "dude friendly" gifts of 2015. 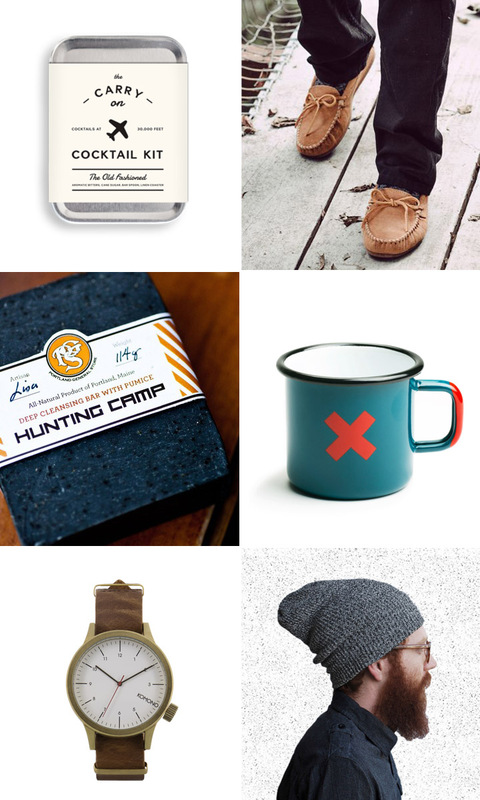 Whether you want to get him something practical (slippers, soap, hat) or something fun (cocktail kit, enamel cup, watch), we're got every angle covered so you don't feel overwhelmed and end up impulse buying him another grey sweater that he already has in his closet.